Second solo show at the gallery by Gabriele De Santis. Exhibit of current works by Jorinde Voigt. The exhibition features a selection of works by Gianni Piacentino from the 90s to today that testify the great vitality and versatility of its production in the last two decades. Iceland Post is the first solo project of Alessandro Vizzini for the gallery. New works by Gabriele Silli that introduces his practice towards the matter and between the trace and the sign. This is the artist’s first solo show with the gallery. First solo show by French artist Laurent Montaron (Verneuil-sur-Avre), who lives and works in Paris. The exhibition presents many of the artefacts made by Simon Denny, associated with TEDxVaduz including the resultant videos and slide presentations in a concentrated installation. Sixth edition of SHE DEVIL video screening, it aims to operate as an open platform towards new and different experiences. A voyage between the sublime and the reality. Artists: Ursula Sprecher & Andi Cortellini, Juliane Eirich, Johanna Eliisa Laitanen. Celia Hempton paints small canvases, of friends and models focusing on what used to be called “private parts”. 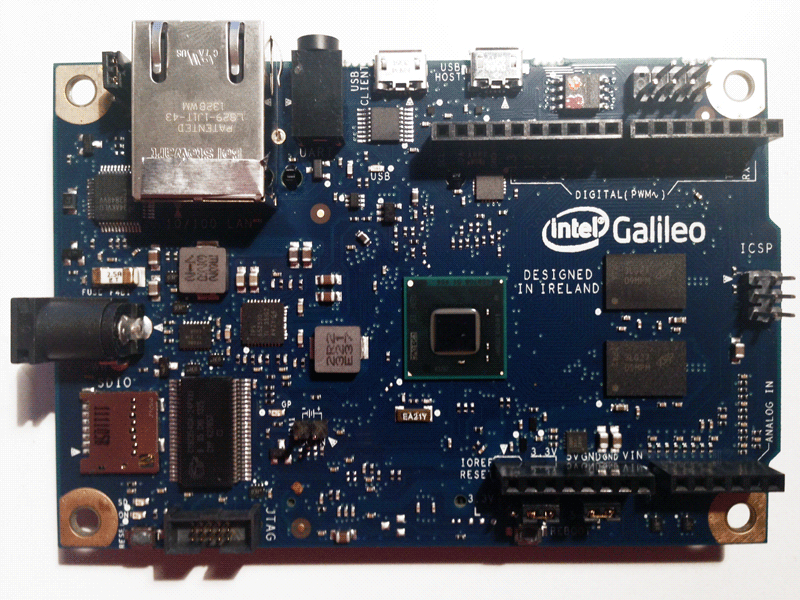 Intel signs a partnership with Arduino, the well-known prototyping board, born in a part of the old factory Olivetti in Ivrea (To) in 2005 and become a standard for designers, artists, and in general the makers who manage to make it interact with IDEAS. 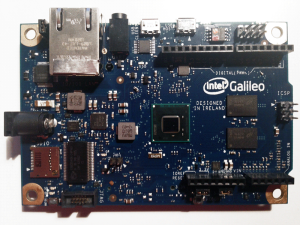 From this partnership with Intel today was born GALILEO, a Development Board compatible with Arduino and based on Intel architecture. This means having Intel’s performance in the Arduino development boards. The program linked to the new board, provides free distribution in 17 universities in the world and will be available in late November 2013. 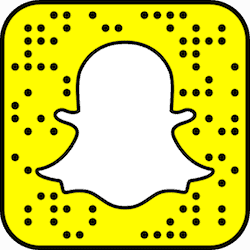 An investment aimed at education and interactive learning. At Maker Faire in Rome today there was the official announcement and at the same time have given hundreds of GALILEO and I am among the lucky ones to have received.